Premier Village Danang Resort and Mercure Danang French Village Bana Hills among winners at prestigious awards. Two resorts in central Da Nang city belonging to property developer the Sun Group and managed by Accor Hotels were winners at the World Luxury Hotel Awards 2018, one of the most established, respected and recognized hotel awards in the world. Premier Village Danang Resort won “Luxury Family Beach Resort” while Mercure Danang French Village Bana Hills won “Luxury Romantic Hotel”. Mr. Michael Hunter Smith, Group Marketing Director of the World Luxury Hotel Awards, congratulated Vietnam on winning two very important awards, saying they would catch the attention of world travelers not only to the two resorts but also to Vietnam as a luxury destination. “This award is great encouragement for us to enhance service quality and make Mercure Danang French Village Bana Hills the first choice for visitors wishing to have a truly romantic French experience in Da Nang,” said Mr. Julien Pechey, General Manager of Mercure Danang French Village Bana Hills. 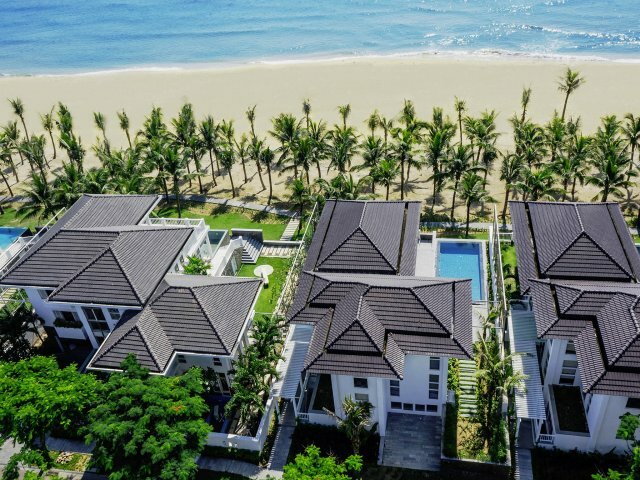 Located on My An Beach, one of the most pristine beaches in the world, Premier Village Danang Resort offers 111 premium four-bedroom villas in the Garden View, Ocean Access, and Beach Front categories. Each villa offers families a private swimming pool and fully-equipped kitchen, while Ocean Access and Beach Front villa additionally have their own garden. The resort also offers a Kid’s Club and other recreational beach activities for the family. The resort is just 15 minutes from Da Nang International Airport, ten minutes from Da Nang’s city center, and 20 minutes from Hoi An ancient town, a UNESCO World Heritage Site. Premier Village Danang Resort was previously honored as a leading luxury family resort in the world by TripAdvisor, in February. 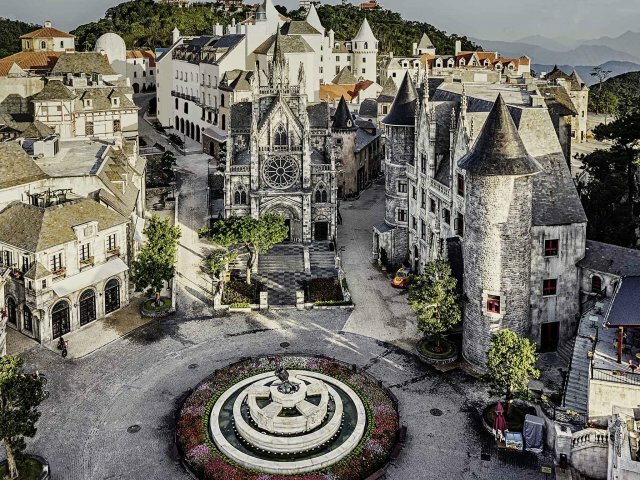 With a romantic classical French design, Mercure Danang French Village Bana Hills, a four-star hotel atop Ba Na Mountain, is a great destination for couples. The hotel offers 470 rooms with elegant and luxurious amenities and a picturesque panoramic view over the French Village, which is a group of buildings replicating famous villages in France in the 19th century. Some rooms even provide guests with a panoramic view of Ba Na Mountain. Facilities include a spa, a gym, an in-house warm water swimming pool, a bar, retail stores, restaurants, and a bakery. Established in 2006, the World Luxury Hotel Awards are the pinnacle of achievement in the luxury hotel industry, offering international recognition and voted on by guests, travelers and industry players alike. Over 300,000 international travelers vote each year during a four-week period. The awards are expected to give more fame to Vietnam’s tourism industry and attract more holidaymakers to the country. They also affirm the leading position of the Sun Group in high-end hotels, resorts, and entertainment in Vietnam.